In April 2018, SAP announced a new pricing model designed to address the challenges associated with indirect access, also known as indirect use. SAP also introduced related adjustments to its sales and audit practices. Join us for our series of webcasts to get the latest updates on these changes. Of all the licensing questions we’ve received from SAP customers, the most common ones revolve around interfaces with SAP systems. Whether it’s EDIs, BAPIs, XI/PI, RPA, or any other technology that complements your SAP system, these can introduce instances of indirect use if you’re not licensed appropriately. Geoff Scott, CEO of ASUG, and Ron Gilson, CIO of Johnsonville Sausage, share what they’ve learned from conversations with licensing experts at SAP so you can understand any potential risks and what to do about them. 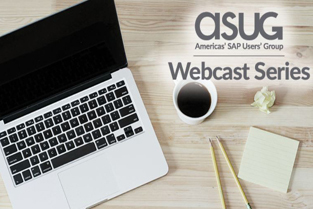 Join us for this prerecorded webcast with a live Q&A to answer your questions about indirect use.